I’ve been in pastoral ministry just long enough to see real damage done to women by views of submission which kept them locked in abusive situations. Friends who are female colleagues have had their search for a ministry placement frustrated by the so-called stained-glass-ceiling. Other women I know who are hurt by the imposition of narrowly defined roles for them in the home or the church. Yes, there are winds of change for the evangelical futures, but complementarianism remains the default position for many churches across evangelical landscapes. John G. Stackhouse, Jr.’s most recent book, Partners in Christ presents, as its subtitle suggests, ‘A Conservative Case for Egalitarianism.’ Stackhouse is professor of Religious Studies at Crandall University and somewhat of a polymath. He is a humble apologist, historian and one of the foremost experts on Canadian Evangelicalism in the 20th Century, a theologian and religious scholar, and a public speaker and educator. He also plays a mean jazz bass. He brings all this to bear (with the exception of bass playing) on presenting a model of egalitarianism which draws on Scripture, experience, tradition, and general revelation. Stackhouse strives to listen well and incorporate insights from both sides of the complementarian/egalitarian debate. He dismisses un-thoughtful reasons for holding one position or the other, such as biblicism (saying ‘the Bible tells me so’ without acknowledging one’s own interpretive grid) (22), the complementarian tendency to double-down on traditionalism when culture is moving in a different direction (or an egalitarian vice-versa) (23-24) and saying ‘the Spirit says so’ with no more than wooly-minded reasoning to back it up (24-5). Instead Stackhouse points to principles you need to know as you think through the gender issue theologically. These principles give Stackhouse a way to affirm the best arguments of both complementarians and egalitarians. His first principle is equality. Women and men are of equal dignity before God (47). Stackhouse points to the co-equality of male in females in creation (Genesis 1:26-27; 2:18-24), the inclusion of women in Jesus followers, the pride of place of Mary Magdalene in being the resurrected Christs first witness, the Spirit’s being poured out on all flesh at Pentecost, and evidence of prominent women ministers in Paul’s letters. There is a push towards egalitarianism in the text. However he also acknowledges overwhelming patriarchy throughout the entirety of the Bible. The imaging of God and Israel’s relationship is depicted as ‘a patriarchal marriage of non-equals,’ Jesus’ failed to include women among his inner circle, and Paul’s occasionally silenced women’s voices (48-49). This leads Stackhouse to his second principle: accommodation, “since somethings matter more than others, lesser things sometimes must be sacrificed in the interest of the greater” (50). Stackhouse argues that the impetus toward egalitarianism is blunted by the greater goal of the salvation of Israel and the nations. Because the Bible was written in and to a patriarchal culture, there is divine accommodation in the text toward patriarchy of the day. Jesus is not some a proto-feminist; yet the gospel of his kingdom paved the way for egalitarianism to blossom, in much the same manner in which the Bible didn’t repudiate slavery wholesale but sowed the seeds of its demise. This provides space for a prophetic embodiment of egalitarianism as a sign of the Kingdom. The final principle guiding Stackhouse’s model is liberty. The gospel does set people free; however passages like 1 Cor. 8:12-13, 1 Cor 10:23-24; 1 Peter 2:16 make clear there are instances when Christian freedom is curtailed if it impedes the spread of the gospel. Thus Stackhouse concludes that in our culture, the emancipation of women is beneficial to all and worth striving for, but in other parts of the world (or other parts of our history) the ‘social-disruption of feminism would come at too high a price. Disturbed families, churches, and societies might become more hostile toward the Christian religion–and likely with little or no actual gain in freedom for women”(63). Christians and missionaries in these cultures advocate where they can, but because patriarchy persists, they simple have to make the best of it. I suggest that Paul means just what he says about gender. But I make this suggestion in a radical way: I think he means everything he says about gender, not just the favorite passages cited by one side or another. The fascinating question here is this: How can Paul sound so egalitarian sometimes and complementarian–even simply patriarchal–at other times?” (66-67). Stackhouse answers this question by arguing that Paul, under the guidance of the Spirit, did two things simultaneously: (1) he set down prudent instructions for the church on how to survive in a patriarchal culture and to (2) promote the egalitarian message running throughout all of scripture. Stackhouse calls this ‘the pattern of doubleness’ and with it he sets the complementarian and egalitarian ‘control texts’ within a larger frame (for brevity sake, I won’t walk through individual texts). This allows him to talk about the cultural constraints underlying head coverings and silent women, but also shine a light on places where Paul (and other biblical authors) extol mutuality. Next Stackhouse tackles various counterarguments to his schema. He eschews appeals to the inner life of the Trinity as a model for either side (96-7), he addresses the complementarian appeal to the patriarchal images of God in scripture, and dismisses the idea that masculinity is an essential characteristic of priests or pastors(102). In discussing history, Stackhouse tackles the common arguments against women in spiritual leadership (i.e. women leaders arise in cultic and schismatic groups or their leadership was merely permissible because of the lack of strong male leadership) and the idea that Christian feminism is a capitulation to its secular counterpart (Christian egalitarianism predates its secular counterpart!). Counterarguments from contemporary experience include the notion that egalitarianism legitimizes homosexuality and it causes the neglect of children. For the former claim, Stackhouse points out that there is no ‘doubleness pattern’ in the Bible regarding sexual diversity as there is with women and slaves. In the case of the latter, Stackhouse points out the lack of sociological evidence to support the claim of child neglect. But while Stackhouse is a card-carrying egalitarian, his principle of accommodation also chastens the egalitarian urge to fight patriarchy everywhere (i.e. traditional patriarchal cultures in the two-thirds world are beyond our scope of influence and mandating egalitarian values would frustrate the spread of the gospel in those cultures). The rest of the book deals with various contemporary issues in the gender debate: inclusive language; the contribution of women to theology, the feminization of the church, the ‘new machismo’ backlash and what to do about it; the reasons why women are not leading as much as they should be. I appreciate how Stackhouse affirms , where he can, both sides of the debate. Complementarians and egalitarians both read the same scripture, both have adherents which read it well. By incorporating insights from both sides means his position is somewhat of a mediating position. Some egalitarians would find his conclusions insufficiently radical (i.e. he doesn’t interpret Paul and Jesus as protofeminist saints). Conversely, committed complementarians will find his conclusions rankling. Stackhouse does listen well but he can also be dismissive of viewpoints he finds insufficiently rigorous. If you aren’t at least somewhat sympathetic with his aims, his tone may bother you in places. Stackhouse was one of my teachers and I am an egalitarian by conviction, even choosing my denomination based on its openness to women in ministry. I agree with most of what he says here and and think ‘the pattern of doubleness’ he identifies in scripture is a way to read the relevant passages well. This distinguishes his approach from other egalitarians. He doesn’t see a straight, upward movement towards egalatarian principles in scripture. He see both patriarchy and egalitarianism in the text form beginning to end. I tend to demur from Stackhouse’s larger project. He is an ethical realist (Making the Best of It!). I am more of an idealist with my overrealized eschatology, emphasizing the Kingdom come and the implications for life now. What I found refreshing was how Stackhouse demonstates his approach isn’t just accommodationist, settling for the way things are. 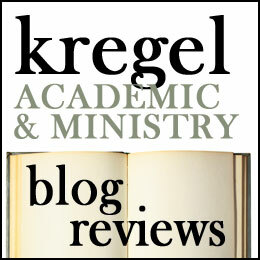 The is space he allows for eschatology in his schema means he is also pressing towards seeing the kingdom embodied more fully, even advocating prophetic stances. Egalitarianism is an example of a kingdom value which he thinks we should champion and work towards wherever we can. But if we can’t, or working towards egalitarianism would wreak havoc on society, we shouldn’t do it. That doesn’t mean it doesn’t remain an important goal to strive toward but in the larger scheme somethings matter more (i.e. the reign of Christ, salvation through him, the spread of the gospel, etc). I think egalitarianism provides a nice case study of Stackhouse’s ethics, showcasing what his approach looks like in the real world. I recommend this book for anyone wanting to think through their position on women in ministry. Soft complementarians may be convinced (hardliners likely won’t). Egalitarians may also learn from Stackhouse a humble apologetics which seeks to listen to the other side. But regardless of whether you find Stackhouse compelling, he does a superb job of naming the contours of the complementarian/egalitarian debate. I give this book four and a half stars. Thankfully there is another way. Harris suggests that it is possible to be loving AND care about truth. In fact, he argues that right doctrine is formative. It should help us to be more loving and gracious with others because we know God’s grace to us in Jesus Christ. To walk in the truth means more than spouting off right doctrine. It means that we put on the character of Christ and keep love our motivation. While other books discuss the virtue of intellectual humility (the idea that our best theology is provisional) the emphasis of this book is different (though compatible). Harris wants you to be firm in your convictions about God and His world, but this should not make us proud, arrogant and mean. If Christians believe what we say we believe then humility and a transformed life should characterize our life and public witness. Harris is best known to the Christian community for kissing dating goodbye (that did wonders for his love life, he is now happily married with children). In the years since his strong words for Christian singles, Harris has become a pastor, published several books on the church and Christian doctrine and sits on the council for the Gospel Coalition. I think this book’s message is a good one. We need to be reminded that right doctrine is not a hammer to hit people over the head but the truth about our world, our lives and our God that holds out hope for humanity. So I appreciate where this book challenges us on how we talk about ‘right doctrine.’ I also appreciate that this book is written by a spokesperson from the Gospel Coalition. While I agree with many of the doctrines that TGC has expressed, I have points of disagreement on some “non-essential matters.” I like that Harris holds out humble orthodoxy, because I haven’t always found TGC to be that humble or gracious in their public discourse. If this small book signals a sea-change then I am all for it. This is a short book which could be read in under an hour. I think it is good for a short book and give it 3.5 stars. However for a better book with a more thoughtful treatment of this theme, I suggest Humble Apologetics by John Stackhouse (my ‘humility’ role model). But the smallness of this book is perfect if you know someone who cares a lot about doctrine but is kind of a jerk because you can easily slip in with their stuff with the hopes they will read it when they see ‘orthodoxy’ in the title. Thank you to Waterbrook Multnomah for providing me a copy of this book in exchange for my honest review. If You are Really Viral, Lets Just Be Friendz on the Interwebs: a book review. A couple of years ago a co-worker of mine came back from a conference and quoted Len Sweet as saying, “The question is not whether or not Jesus would tweet, the question is how he would tweet.” I was curious but remained unconvinced. Technology comes with a whole set of issues and where I have connected most with Christ has been when I have unplugged (rather than from some 140-characters-long-message). Then a year ago, a friend and professor of mine, John G. Stackhouse, Jr. came back from an ‘Advance’ with Len Sweet in the Orcas Islands and decided to jump into the twitterverse . I was already on Twitter, but only making occasional use of it and didn’t see the point. So when Len Sweet published a book detailing how social networking is poised to ignite revival, I thought I should read it, so I could maybe understand (and jump on that bandwagon). Ideologically I generally feel a little out of step with Sweet. He is always waxing eloquent about where we are in culture and how we should speak relevantly in our context. I want to ask how our context can prevent us from experiencing the truth of the gospel and numb us to the Spirit’s movement. I feel this most acutely in relationship to technology. 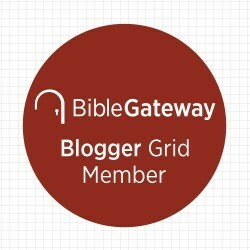 I have a blog, I’m on Facebook and Twitter and happy to amass friends and followers at each venue (and yes, I blog as a Christian), but I also wonder how technology is numbing my ability to know God intimately, to be in silence and solitude, and to make meaningful connections where I live. 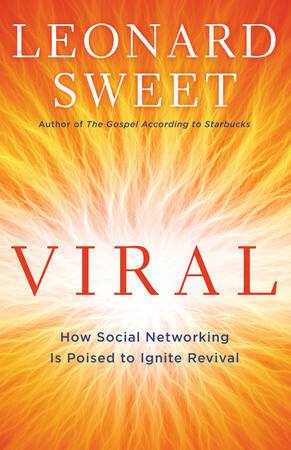 When I read Viral, I heard Sweet’s strong exhortations to get with the time, to embrace the social medium and use my platform to share Christ. These pages don’t have the prophetic edge of a Jacques Ellul or Albert Borgmann questioning what meaningful thing is lost when we embrace new technologies (although Sweet quotes Marshall McLuhan several times). You also won’t find Neil Postman’s incisive analysis of how Western culture developed technology, but technology is now making us. But Sweet is not wholly ignorant of the dangers inherent in this tangled web we weave. He just chooses to accentuate the positive. Sweet compares the two cultures that co-exist in our time. The Gutenbergers, love the printed word, sustained thought, but are also individualistic, narcissistic and prone to argument. The Googlers are digitally connected, think its more important to be in relationship than to be right and prize images and symbols and metaphors (though they still like text). As I expected, Sweet thinks that the Googlers are where our culture has moved to and so if we are serious about engaging the world with a Christian message, than we ought to move into the digital age engaging in the entire spectrum of the ‘TGIF’ culture (Twitter, Google, iphone, Facebook). Yet Sweet does not give his wholesale stamp on every phenomenon in the Google world. What he is really interesting is describing our context, where we live and how we relate to each other in our day and age, and how we remain faithful to Christ in the midst of that culture. So while much of this book is a glowing endorsement of twitter and iphone, Sweet augments that with suggestions of how to tweet in a transformative way and how to tell beautiful, poetic stories of God’s goodness in an era where people spend half the day looking at cat memes. A lot of what he says tells people how to navigate the Google world better, some of it cries out for some of the Guttenbergers’ literary skill, left brain thinking and analysis. So while Sweet comes down on the side of the Googlers, he affirms that both groups need each other. This a worthwhile read and despite my skepticism and suspicions, I found some real insights here on how to use my online platform for the kingdom of God. This book is way over simplified in its analysis (Sweet admits as much) but it does a good job of naming and illustrating some of the major trends in culture that has happened over the past forty years. As always, Sweet provides you with a plethora of acronyms and witty terms which you will either enjoy or roll your eyes at. But despite his trendy, poppy prose, this book has good stuff to say and I would recommend it to those who are trying to be ambassadors for Christ in a digital world. As always, Sweet’s interactive discussion questions, poke and prode and invite you into deeper learning (rather than just rehearse the chapter for you). Read it. According to Sweet, if you are Googler you will read it on your reader or ipad, if you are Guttenberger, you will read the print version. I read both, which I suppose means I’m every woman (or boy). Posted on May 25, 2012 May 25, 2012 Categories Blog, Books, Cultural Critique, Evangelism, Missional, Reviews, WordsTags blogging, Facebook, Google, Googlers, Gutenbergers, Iphone, john g stackhouse, marshall mcluhan, microblogging, social-media, technology, twitterLeave a comment on If You are Really Viral, Lets Just Be Friendz on the Interwebs: a book review.